This is technical field and office work in the collection, classification, photography and maintenance of criminal evidence. Employees in this class are responsible for the identification of fingerprints, collection of evidence, crime scene photography and documentation of crime scene investigations. Work requires the incumbent to testify in Court concerning evidence collected. Duties occasionally require the viewing of victims of accidents or violent crimes, and exposure of the employee to adverse weather conditions. Work follows prescribed procedures and is performed under the direction of a technical supervisor who reviews work in progress and upon completion for accuracy, thoroughness and conformance with established Departmental procedures. Site supervision may be received from Sworn personnel. Searches for and lifts fingerprint evidence; identifies and compares fingerprints; classifies fingerprints in accordance with internationally recognized standards. Operates standard, miniature, reflex, instant and videotape photographic equipment. Collects, preserves, and traces materials and identifies crime scene evidence; utilizes measuring, testing and recording instruments and devices; makes plaster casts. Provides testimony in Court proceedings as an expert witness. Transports investigative equipment to crime scene. Types and files reports and related investigatory information; answers inquiries; operates radio equipment. Must effectively and positively represent the City in delivering and performing work with colleagues and clients, irrespective of gender, race, religion, age, disability, political affiliation or belief, or sexual orientation. Must establish and maintain effective and professional relationships with work colleagues, supervisors and managers. Performs related work as required for this position description only. To perform this job successfully, an individual must be able to perform each essential function satisfactorily. The requirements listed below are representative of the knowledge, skill and/or ability required. Reasonable accommodations may be made to enable individuals with disabilities to perform the essential functions. 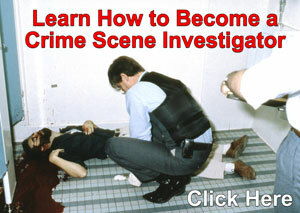 High School diploma or GED equivalent, plus one (1) year experience in crime scene investigation or a related field. Employee must pass an approved crime scene-processing course or equivalent plus Basic FBI Fingerprint Course prior to the completion of the probationary period. 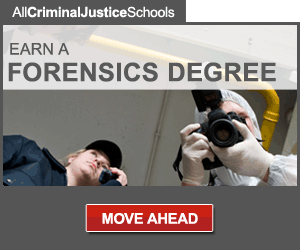 An Associate's Degree in Criminal Justice, or related field, plus three (3) years' experience in crime scene investigation or a related field. Additional education and experience or an equivalent combination of training and experience may be substituted for the above requirements. Knowledge of modern scientific methods and equipment used in criminal investigation. Knowledge of standard fingerprint collection, classification and recording practices. Knowledge of photography including development and enlargement. Skill in the operation of photographic and recording devices. Skill in taking, classifying and identifying fingerprints. Ability to establish and maintain effective working relationships with fellow Employees and the public. Ability to climb to, and work at, heights. Ability to lift and carry portable generators and investigative equipment. Ability to write and provide oral testimony in a clear and concise manner. Ability to operate a mid-size van. Ability to establish and maintain effective and professional relationships with work colleagues, supervisors, managers and the public.